President scraps independence day celebration. Tanzania's newly-elected president John Magufuli has scrapped celebrations for the upcoming Independence Day on 9 December, marking the first time in 54 years that the country will not commemorate independence from Britain. State media reported that Magufuli said it would be "shameful" to spend government funds on lavish celebrations when "our people are dying of cholera", a reference to the current outbreak which has recorded around 10,000 cases, including 150 deaths, over the last three months. It is not known how much money will be saved by cancelling the Independence Day celebrations, which normally include a military parade, however the government says the funds will go towards healthcare and fighting cholera. Since taking office on 5 November, Magufuli has announced a swathe of austerity cuts, many of them popular with the electorate. The cost-cutting measures include restricting "unnecessary" foreign travel by government officials and banning Tanzanian officials from sending out their usual government-printed Christmas and New Year cards. He also cancelled a party scheduled to mark the opening of parliament, ordering that the $100,000 earmarked for the event be used to buy hospital beds for Muhimbili National Hospital, the country's main medical facility, in Dar es Salaam. Magufuli made the decision after he found patients sleeping on the floor during a recent surprise visit to the hospital whose poor conditions prompted him to fire the facility's acting director. 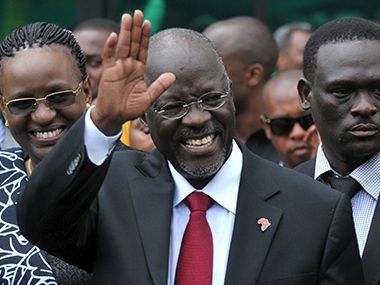 A tough, no-nonsense politician, Magufuli is known by his supporters as "the Bullodozer" for building much-needed roads across Tanzania in his previous post as minister of works. Magufuli beat opposition candidate Edward Lowassa in the recent election, at the end of October, to become Tanzania's fifth president. He was the candidate of the ruling Chama Cha Mapinduzi (CCM) which has governed since colonial rule ended on 9 December 1961.